In our midweek services we have followed the places that Jesus went on His way to the cross. 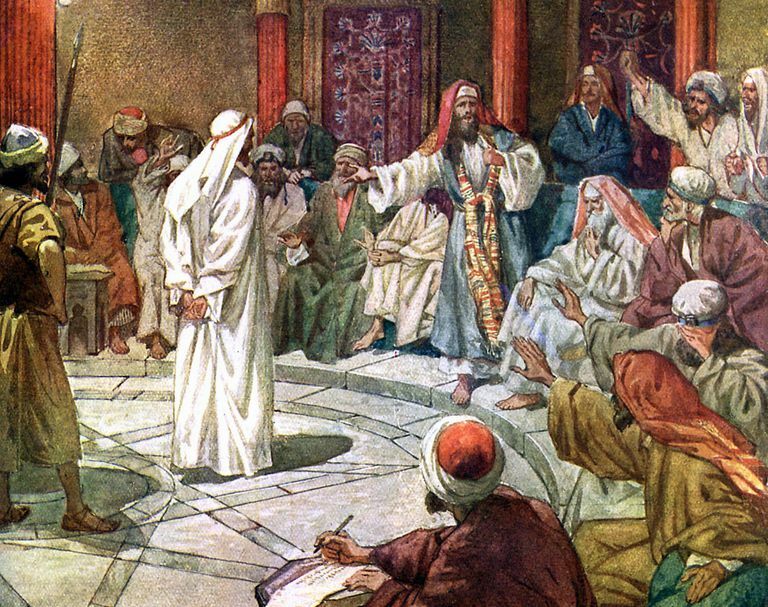 This week we go to the court of the High Priest. This was the highest religious authority for the Jews. Jesus has one more stop after this: court of Pilate, Roman Governor. In our text, the High Priest and the Sanhedrin were looking for false testimony against Jesus. Their intent was to put Jesus to death. And yet they couldn’t even find any. Even when they find two witnesses, they still can’t tell the truth about what Jesus said. Peter got the title correct, but he didn’t want to hear what Jesus had to do in fulfillment of that title. Ironically, when Jesus publicly confesses who He is: the Messiah, the Son of the living God. By Jesus’ assertion, the Sanhedrin didn’t need a false testimony, Jesus gave a true witness… that served their purpose to kill Him, and it served Jesus’ purpose to reveal Himself in His testimony and in His death. The truth of Jesus’s statement culminates in events that lead to His death… but even more. 57 Those who had arrested Jesus led him away to Caiaphas the high priest, where the scribes and the elders had convened. 58 Peter was following him at a distance right to the high priest’s courtyard. He went in and was sitting with the servants to see the outcome.